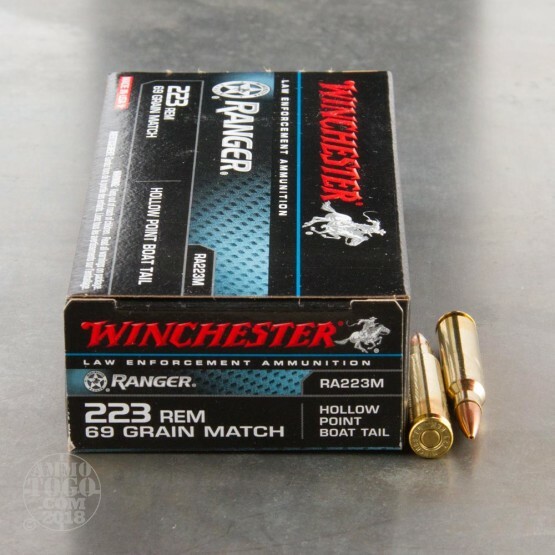 This 223 Rem cartridge by Winchester features a 69 grain hollow point boat tail projectile. 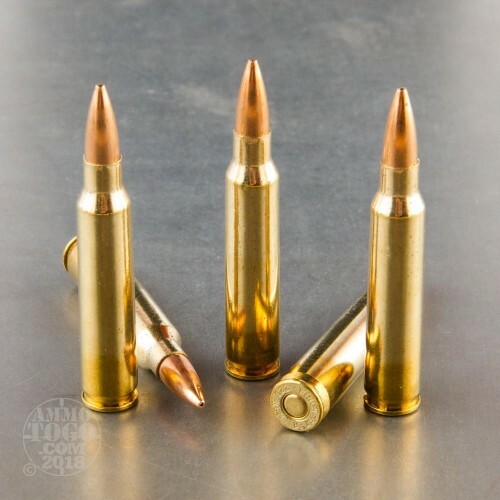 The tapered back end of the bullet increases its ballistic coefficient, and additionally helps protect its trajectory against the deleterious effects of cross winds. Furthermore, its design facilitates its assembly, meaning it is less likely to have incurred little nicks and scratches in the factory. The bullet’s hollow point will cause it to mushroom after impact, drastically increasing its potential to cause serious damage. 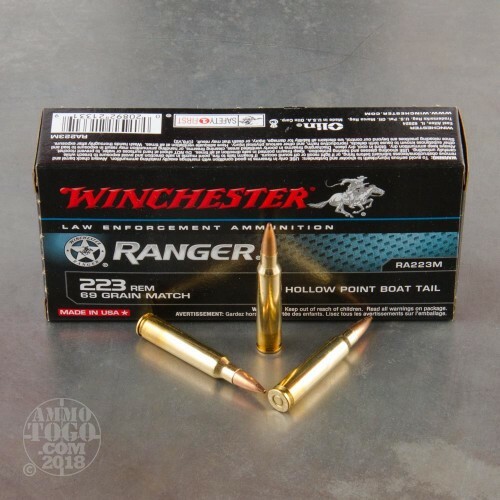 With its muzzle velocity of 3,060 fps, this is a cartridge that is sure to deliver whether you are hunting for deer or wild hogs or just enjoying yourself at the range. 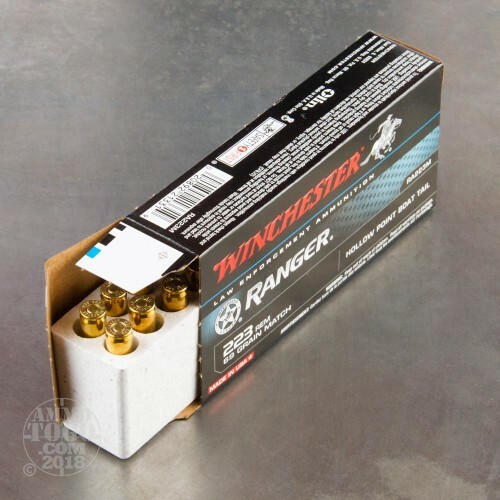 This cartridge is safe for use in the AR-15 as well as other semi-automatic rifles. Its non-corrosive Boxer primed brass casing will make it of additional value to handloaders as well. Its quality is backed by the legendary reputation that Winchester has fostered over the course of more than 150 years.